Mukuro Rokudo is one of the main characters of Reborn! and is also the first season's primary villain. Portrayed as the series' first primary antagonist, Mukuro Rokudo is introduced as a 15-year-old Mafia criminal who is the leader of the Kokuyo Gang, which consists of heinous criminals whom have recently escaped from prison. However, later on in the series, he takes on a more supportive role for the series' main characters, becoming somewhat of an ally rather than an enemy, though he prefers to not consider himself as one of their allies. 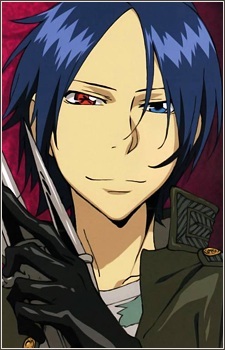 Despite often being shown with a playful smile, Mukuro is seemingly apathetic to the suffering of others. Appearing as the series' first antagonist, Mukuro is not averse to disposing of those who get in his way, and is not easily intimidated, usually speaking to others in a very direct and arrogant manner. He cares little for others, and simply considers people to be "toys" or "tools" he can sacrifice in order to get to what he wants. Mukuro is implied to have a strong dislike for the entire Mafia underground, due in part to the experimentations he suffered as a child at the hands of the Estraneo Mafia family. When Mukuro killed his captors, he offered Chikusa and Ken, who were also victims of experimentation, a chance to join him in his quest to destroy the world. However, not only does he want to take revenge on the Mafia by destroying it, he also wants to cleanse the world of its filth by invoking universal suffering through a world war. Even after becoming the Vongola Mist Guardian, Mukuro still claims to no longer be part of the Mafia, having been exiled from it, and continues to view the organization with great contempt.